Mt. Fuji is located 30km northwest of Hakone. Base tourism area of Mt. Fuji is Lake Kawaguchi-ko, 20km north of Mt. Fuji, upper left of Lake Yamanaka-ko in the map below. Trains and buses run frequently between Lake Kawaguchi-ko and Tokyo. The road goes to Mt. 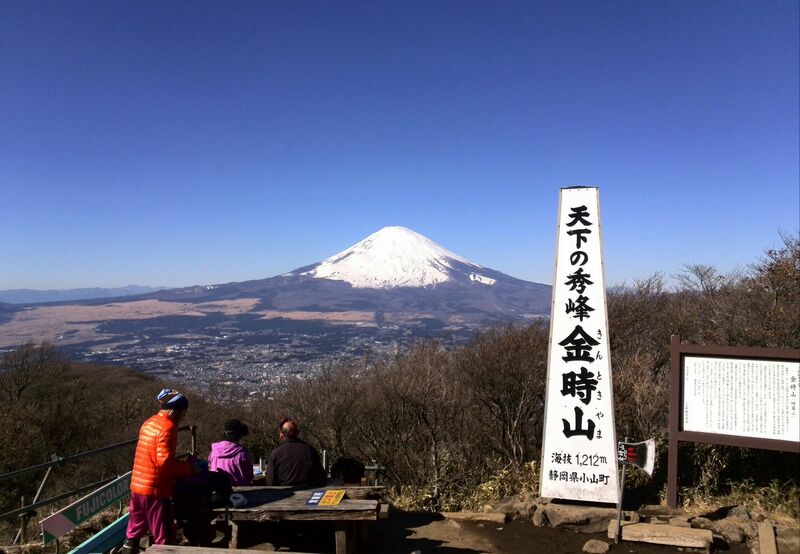 Fuji 5th station also starts from Lake Kawaguchi-ko. This road may be partially closed during winter due to snow. Visiting Lake Kawaguchi-ko area from Hakone as a day trip may not be recommended. The access to Lake Kawaguchi-ko from Hakone is very inconvenient. 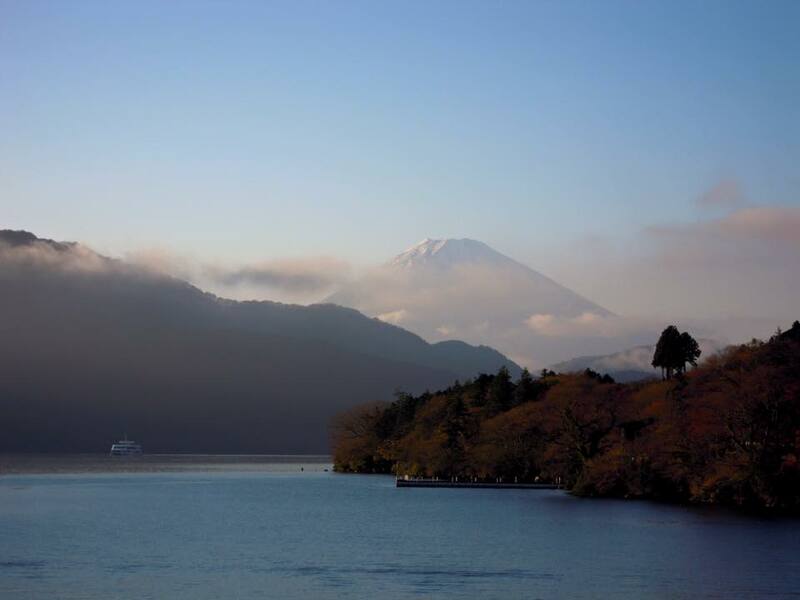 Using the discounted free ride ticket, Fuji Hakone Pass, you may travel both areas for 3 days (2 nights) from Tokyo, staying one night in Hakone and the next in Lake Kawaguchi-ko or reverse direction. The following (1) ~ (6) are the spots where you can see Mt. Fuji from Hakone. You have better chance to see Mt. Fuji during winter. For example, you may be able to see Mt. Fuji at least partially more than 2/3 of the days in each month between November and March. However, from May to September, you may not see Mt. Fuji more than 2/3 of the days in each month.